One of the ‘must see’ places on our trip to Paris, France for our anniverasry was the Love Lock Bridge. I had only heard about this in recent times and had since been wanting to see it in person. In fact there is not just this one love lock bridge in Paris, but many all over the world. 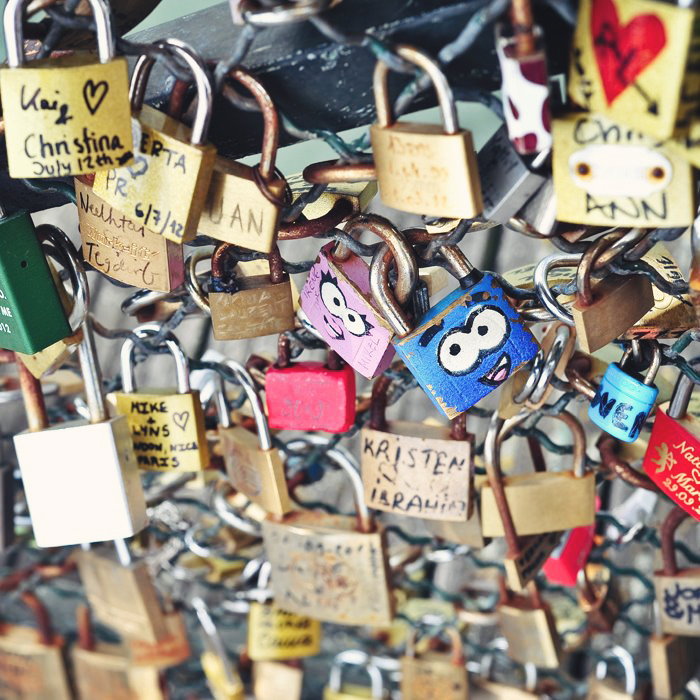 They love lock bridges started popping up in the 2000s and lovers worldwide come to leave a token. Basically you come and leave a padlock locked onto the bridge, gate, or fence and throw away the key into the water below. 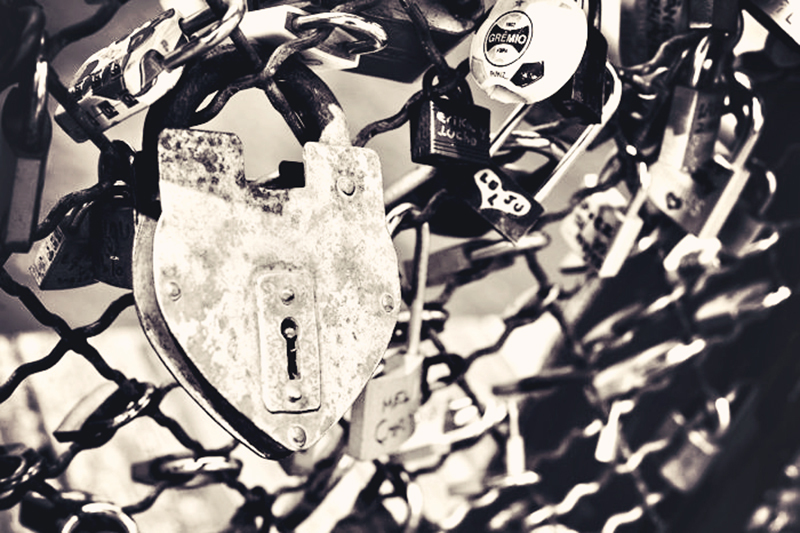 Many of hte locks are engraved or inscribed with intials and hearts. With poor planning and the fact that Paris ended up being the last leg of our travels, my husband and I had not a lock with us, nor the extra money to buy one in France. I really enjoyed getting to photograph all the love locks none the less. It just means that my husband and I must return soon and bring our love lock with us this time. I have been reading up on taking the coach from London to Paris from Amanda‘s blog. Has anyone done this before? Q: Have you been to any of the lock bridges around the world? 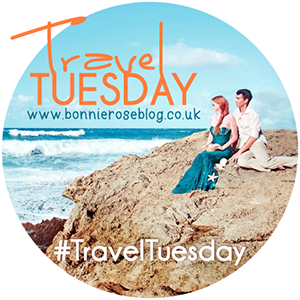 Every week with my travel co hosts, Tina and Melanie, we pick out different posts that spoke to us from the previous link up. We really encourage you all to hop around and visit other people who link up with us and hope that these weekly features motivate that spirit! Thank you so much for hopping around today after you link up. This week I wanted to share a post by Tracy, the blogger author behind Pleasurable Pursuits. Last we she shared with us her travels to Yellowstone National Park, not to be confused with Jellystone as there are no adorable bears chasing after picnic baskets. 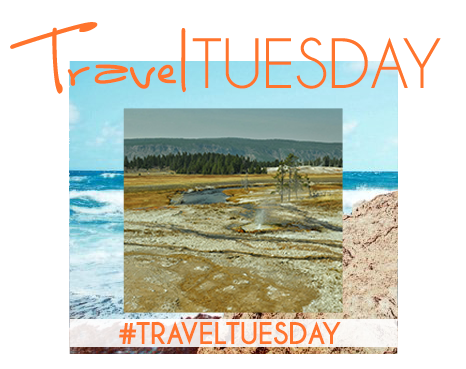 I have not been to that national park in America yet, so I really enjoyed seeing her photographs of the geysers. I love finding travel locations that boast such amazing sights in nature and this one definitely makes the list. Check it out and then see who Tina and Melanie chose from last week. in the link up below! I think your photos of the love locks are prettier than the real things. I’ve seen the Paris bridges and another in Ventimiglia in Italy but I know there are heaps more around the world. I love when people have personalized their locks with a special drawing or script. It’s not a restful or comfortable way to travel to France but it is cheap! For various reasons, passport control/security was easier leaving England to go to France than coming back in. (We never got off the coach on the way out, we had to get off twice for security coming back in to england etc). If I could afford Eurostar prices at the drop of a hat I would do that, but I’d definitely take the coach again as it’s the most economical! I like that shot of you crouched down taking pictures! :o) Cute! Oh thank you Sarah, I did not realise that. Thank your for updating me on the two different bridges in Paris. This looks so lovely! Such a shame that you didn’t have a lock with you but at least it is an excuse to visit again! We went to the bridge too! Also, didn’t have a lock. Maybe next time? I feel like every city has some sort of love lock bridge now! 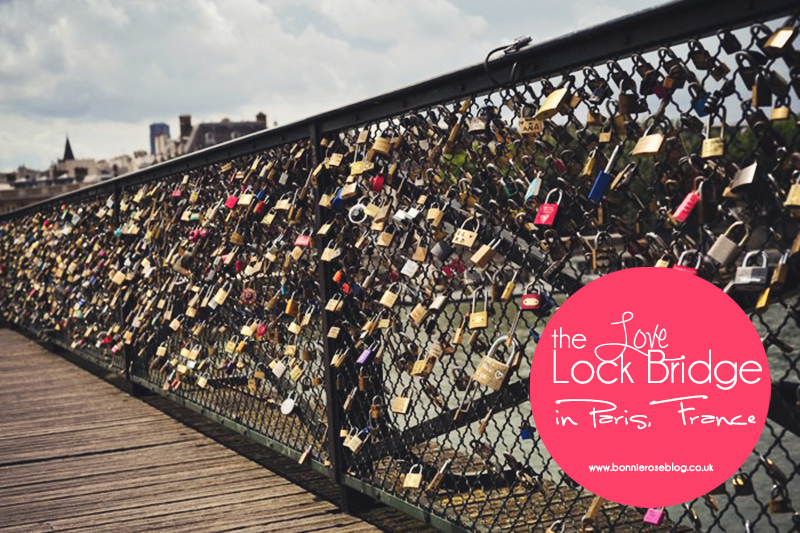 I decided to link today, the post from our Paris trip since you featured the lock bridge It was so cool…we also did not have a lock either We were told people would be out selling locks, but I think we were there too early or maybe it was an off day. I really wished we had took advantage of buying a lock earlier, as we stayed very near there. Great pictures! I really hope to see the love lock bridge in Paris one day! We actually found one in Ottawa, Canada during our travels. We didn’t have a lock to add either unfortunately but I loved taking photos of them all the same! 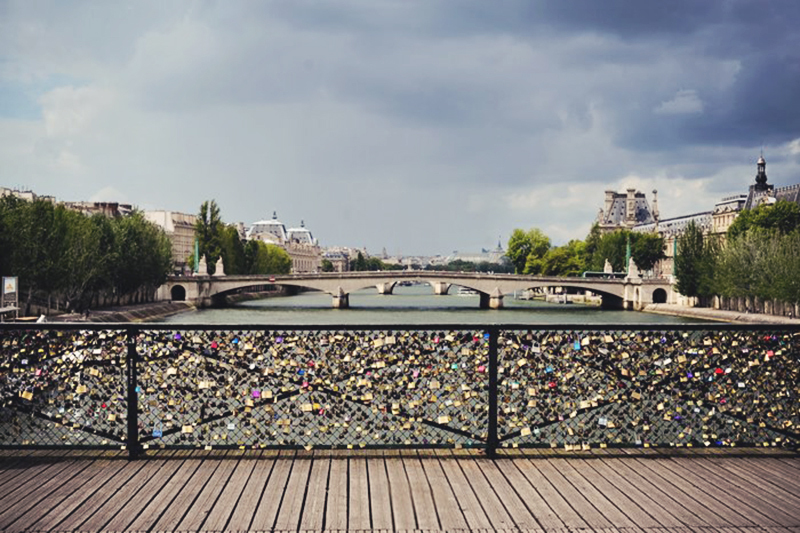 I have always wanted to put a lock on one of the bridges in Paris. I love checking them out when I have visited the city. 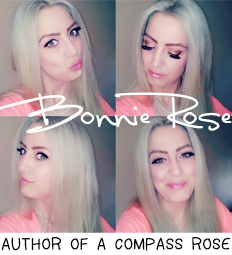 I love these photos, Bonnie Rose! And also, I’ve never been to this… I heard about it after I left Europe… not sure it was as big of a trend but now it seems like a huge thing! What a place of such positive energy — love it! I have yet to see a lock bridge. It sure is a growing trend. 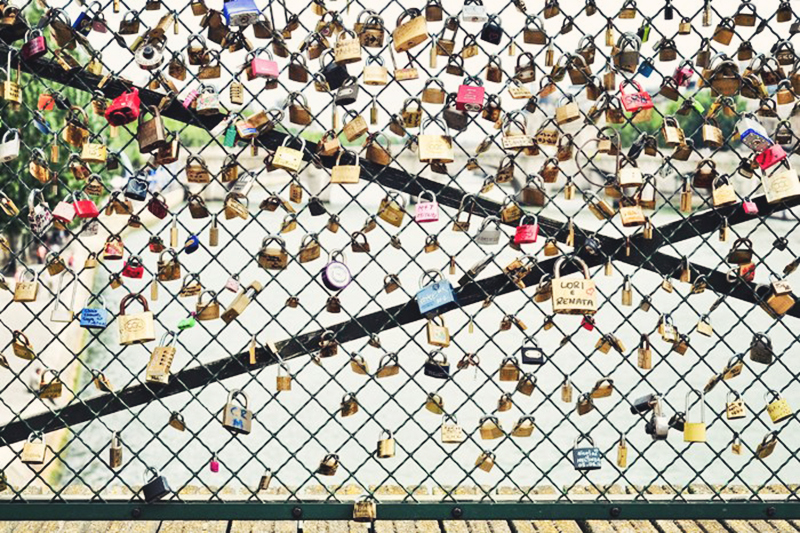 I’ve seen both love lock bridges in Paris, and I absolutely love your pictures! I’ve also seen a love lock in Berlin, and (oddly enough) Riga, Latvia. 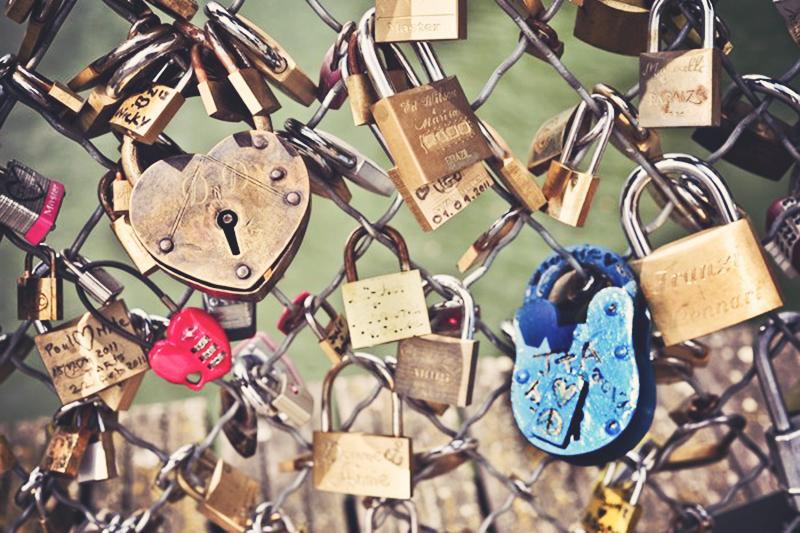 It really is a sweet idea, and reading the locks with messages on them is fascinating! There is a love lock bridge right down the street from my apartment in Vilnius, LT. My husband and I keep wanting to add our lock but we haven’t been able to find a lock in stores. We will have to keep looking! 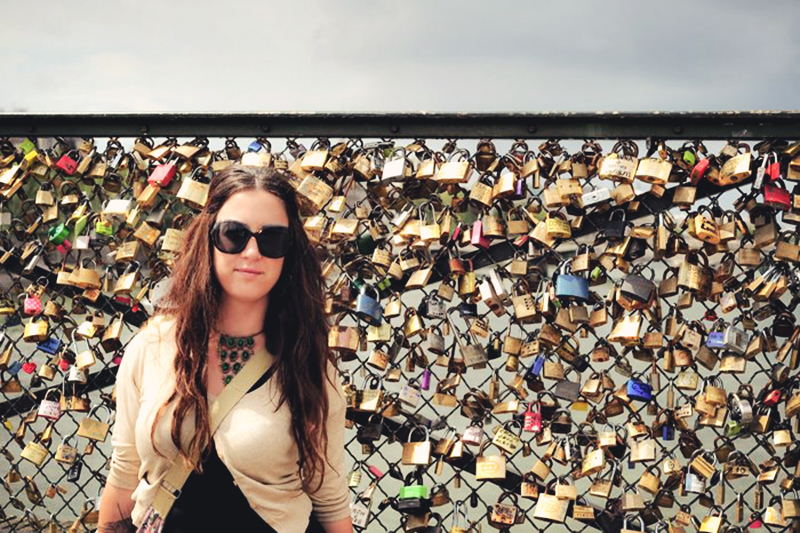 The love bridge is so cute- I want to go there one day! We have a lock on that bridge. We put it on two years ago. Thanks for bringing back such a wonderful memory. 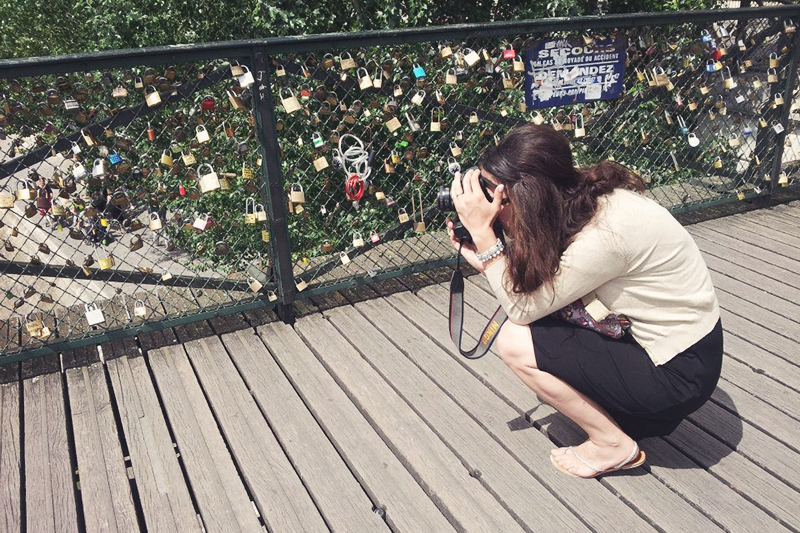 We left our lock on the lock bridge in Paris this past June. We had heard about them, but hadn’t really planned for it – but for whatever reason, in the midst of moving or whatever, I had an extra lock with me, and we had the keys for it! Of course it had to go on the bridge! Thank you for sharing this! My husband and I were just there in December for Christmas. Like you, we didn’t leave a lock- but it just means we have all that much more reason to visit again! the locks are such a sweet sentiment. we’ve also seen them in cologne, a few in florence, and put our own up in juliet’s corner in verona. The bridges of Paris are being loved to death. And the Seine isn’t faring too well either…the river has become the dumping ground for all of those little padlock keys that people carelessly, thoughtlessly toss into the water after “locking” their love. Can you imagine if someone visited your hometown and started throwing bits of metal into the river? Paris is a romantic, beautiful city. The act of polluting its monuments and its river isn’t loving, original or kind. This kind of love hurts.